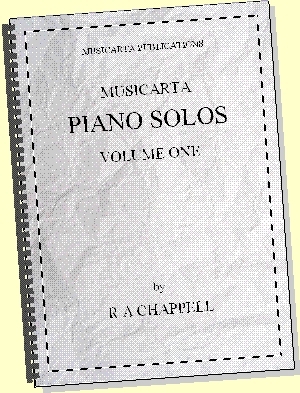 A solo performer needs to be able to play the accompaniment in the left hand while the right hand plays the melody – the music the listener mostly hears. 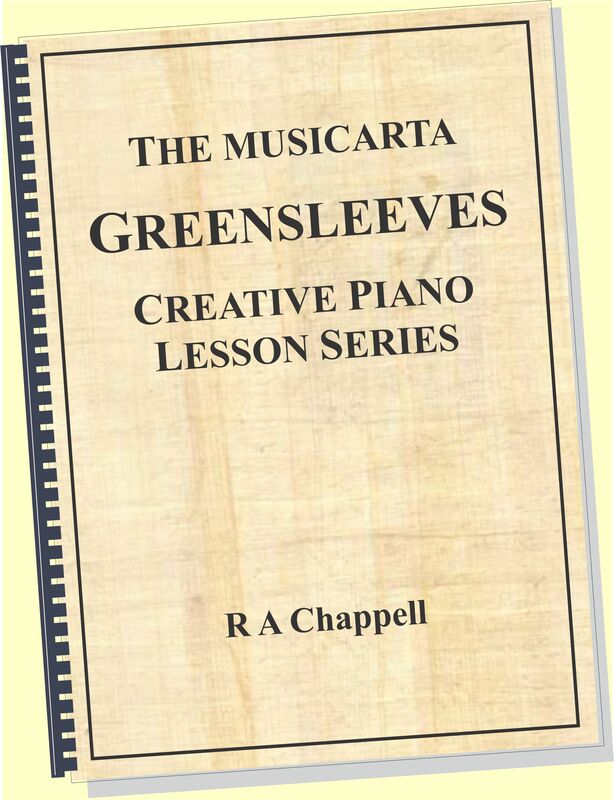 In Module Eight of the Musicarta Canon Project, you learn to play some of the right hand thirds patterns from Modules One and Two over your own left hand solo accompaniment. Here is one of the combinations you build up to. 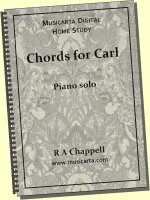 To play proper two-handed Canon arrangements (or any other self-accompanied music) your accompaniment pattern has to be practically ‘automatic’. 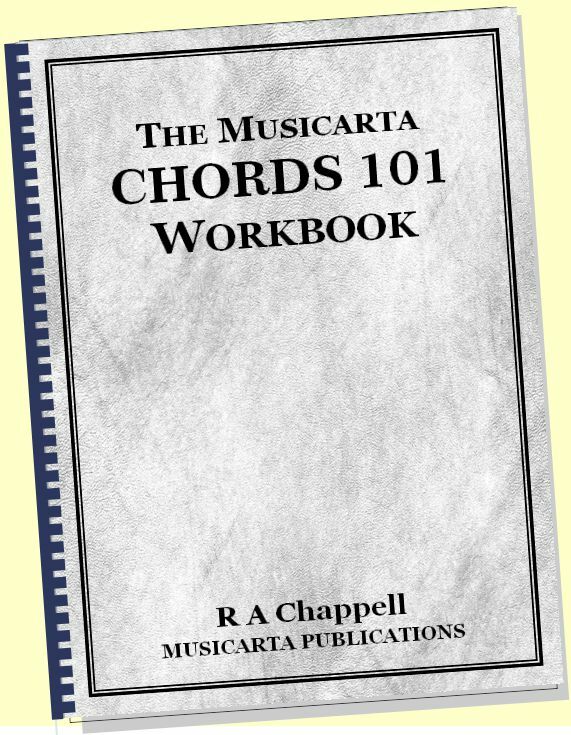 You can leave it to chance and hopefully build up your skills over the years – or you can opt for the fast track and practice methodically with Musicarta! 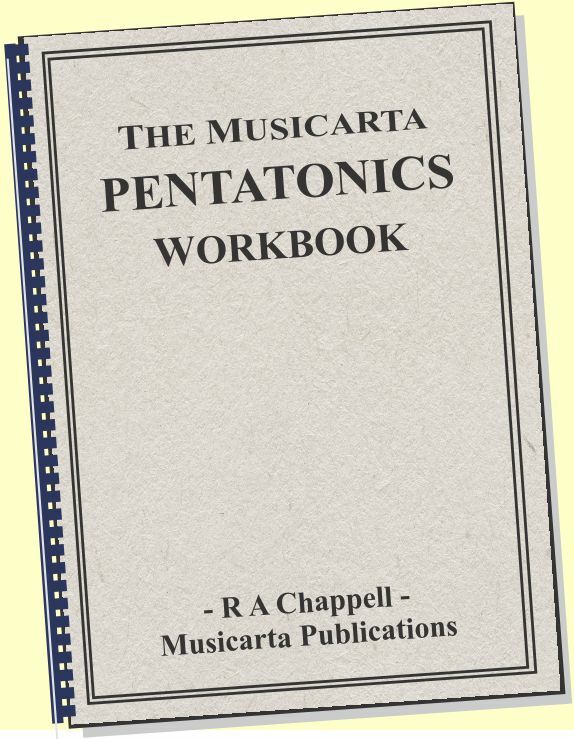 The Canon Project again offers a structured, engaging set of methodical exercises to put these notes right under your fingers – presented in manuscript (written-out music), audio and MIDI format. You can’t fail to learn! 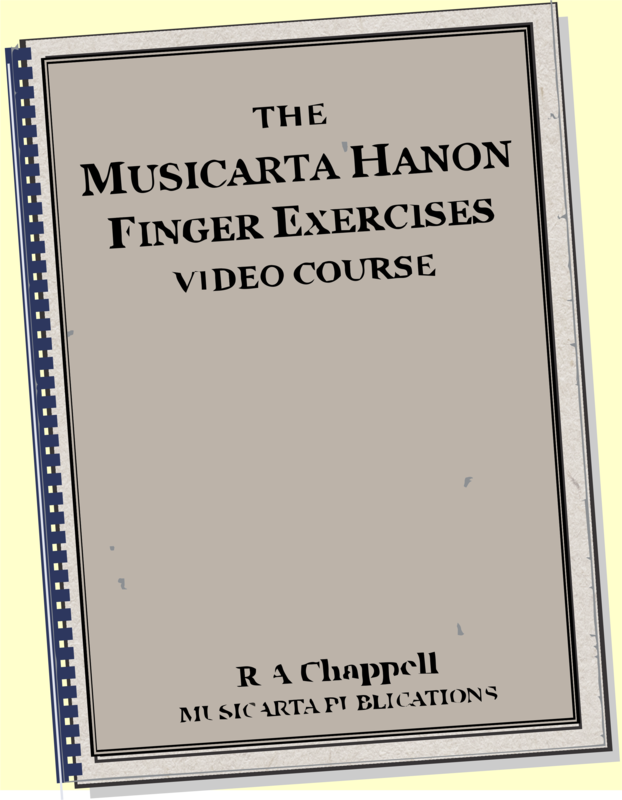 There are sixteen practice patterns, all with music and audio and MIDI files. You would expect to come back to the practice patterns over an extended period of time. As mentioned previously, root, fifth, octave, tenth patterns are practically universal, so your practice will have considerable spin-off benefit. 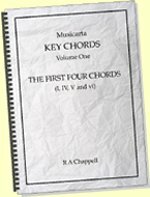 The audio and MIDI files are packaged in a separate folder, so you can easily schedule left-hand-solo accompaniment practice into your practice routine. You see how the Canon Project promise is being fulfilled – you are building up your own solo Canon performance from the building blocks you’ve learned. Module Eight of the Canon Project has two other important components. Both involve some form of musical shorthand, and both will fast-track you to skills most musicians make their way to only slowly and without help. The method involves using arrows to indicate how the top note (melody) moves. Can you hear how the arrows represent the melody? This is how proper musicians listen to music. Does the melody go up? Go down? Repeat the same note? From this point on in the Canon Project, you will listen to melody fragments and notate them like this without spending un-necessary time writing out ‘proper’ music. Note that this isn’t a ‘lazy’ way of writing music – it’s a way of training your musical ear. You could just try and try again to get it – and you might succeed. But experience suggests that a lot of pupils give up in frustration and never get to play the classy music they want for lack of a methodical approach to playing syncopated rhythms at the keyboard. The answer is to stop and look closely until you’re sure you know ‘what comes with what’ – whether your hands play together (T), or just the left (L) plays, or just the right (R) – ‘Together, left, right’ (TLR) analysis. Here’s that syncopated riff in a fully worked-out Musicarta beat map. Practice tapping it out away from the keyboard first. Going forward, the Canon Project uses this methodical, fail-proof method over and over again. All music examples with attractive, syncopated rhythms are treated this way, enabling you to bypass hours of trial-and-error frustration and get on with polishing the riffs you want to be known for. 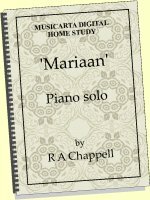 Note that there are MIDI files so you can see-and-hear MidiPiano performances of all audio demonstration files, plus written-out music (in most case) in the Musicarta Canon Project download! Buy now!